Rapid absorption of information is the main aim of web users in our age of social media posts, vines, and micro-blogs. While content is absolutely key, as human beings we’re naturally drawn to visual content over long blocks of text. Visuals are simplistic and effective ways to creatively communicate information at a hasty rate. Often, if something is particularly lengthy or difficult to explain, a visual display is the best way to reduce it down to a basic level. Both marketers and businesses alike are finding that visuals are not only key communication tools, but they tend to make content marketing more effective. Marketing giant Hubspot found that tweets with images received 18% more clicks and 150% more retweets; photo posts on Facebook accounted for 87% of interactions; and 86% of buyers expressed some level of desire to access interactive/visual content or demand. Incorporating visual content into your marketing strategy is simple. We’ve created a quick list to give you a hand. Think about the first thing that grabs your attention when you visit a website. It’s not a block of text, is it? It’s vivid imagery: high quality, high resolution photography or infographics. These are the things that catch and hold your eye. Even if your website or blogs aren’t image-heavy, be sure to include at least one high quality feature image. Including an attractive visual also ensures that your product information is paired with something that catches the eye should it be shared on social media like Facebook or LinkedIn. When choosing a feature image, keep in mind that it should be relevant, high quality, and attractive. This particular risqué image resulted in the highest click-and-view rates on our own website. We also received the highest number of likes and shares we’ve ever had on our Facebook. Topical, relevant, and a little bit cheeky did the trick for us! 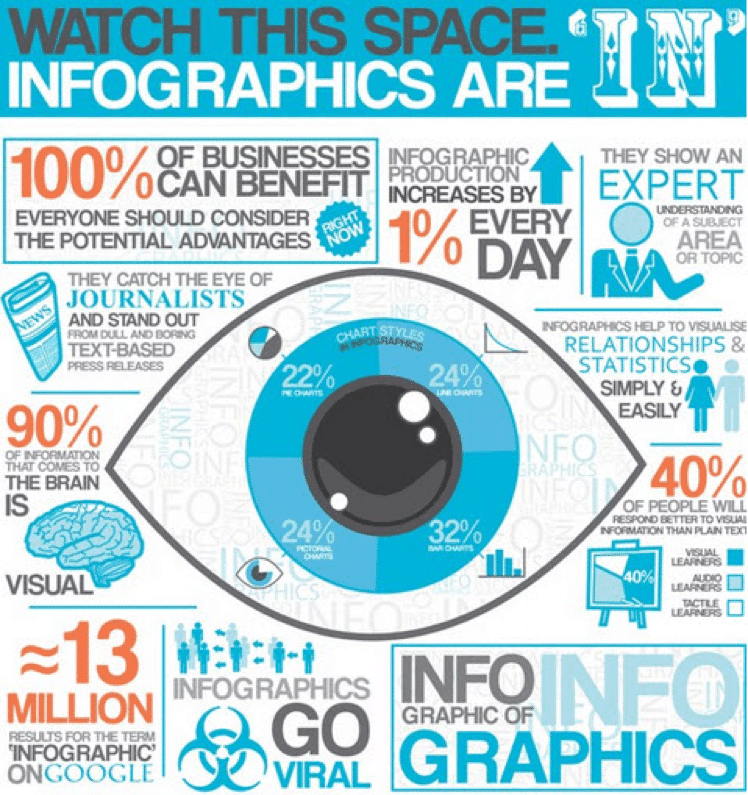 Infographics are the latest in highly shareable, traffic-generating content type. There are a range of different – and free! – programs that anyone with a basic level of web savvy can use to generate their own content. Alternatively, you can source and credit an existing infographic that suits the topic of your content. Just make sure that the infographics you use are high-quality, easy-to-understand, and relevant to your audience. Repeat after me: ‘white space is my best friend’. No one – no one at all, not in the entire world – likes an obtrusive, cluttered, unwieldy block of text. 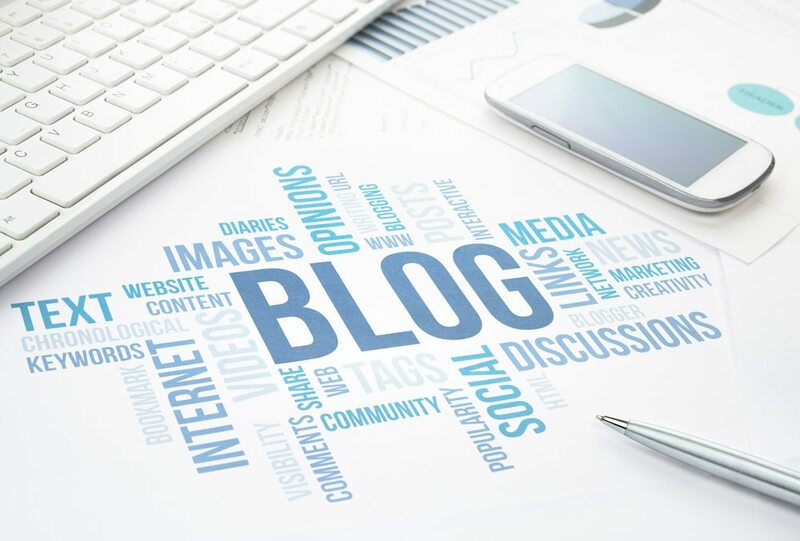 You can make your written content immediately easier to digest by breaking it down with the strategic use of headers, bullets, section titles, and other useful formatting tools. Here’s the dirty little secret: barely anyone bothers to read the entire body of a blog. Instead, readers use article formatting to skim down to the parts that interest them. You might be skimming through this right now! Well, stop, and listen carefully. You can increase readability, and therefore the time customers spend browsing your website, with basic formatting. Keep it clear, concise, and don’t be afraid of white space. If your content is unavoidably long, you can use nifty little links to other parts of your post or website to maintain reader engagement. Remember those days in school when your teacher would roll in the old, clunky VHS player? Your customers get the same feeling of excitement when they realise they can watch a video about you instead of having to read a spiel! Video has shown to be one of the most engaging forms of web content, particularly on social media. Facebook reports that, on average, more than 50% of U.S. users watch at least one video upload on a daily basis. It’s not hard to get your customers engaged with visual content. We’re all naturally curious creatures, and an interesting image is the easiest way to entice your audience to search for more information. Keep your content fresh and varied and you can’t fail!